Determine how many shares need to be bought or sold to rebalance allocation requirements. Re-examine portfolio to rebalance allocations to adjust for relevant market risk. Determine target price levels for each position. Determine “stop loss” levels for each position being maintained. This is just how we do it. However, there ar many ways to manage risk, and portfolios, which are all fine. What separates success and failure is 1) having a strategy to begin with, and; 2) the discipline to adhere to it. As I discussed last week on the radio show, in portfolio management you can ONLY have 2-of-3 components of any investment or asset class: Safety, Liquidity & Return. The table below is the matrix of your options. This is basic. But what about other options? 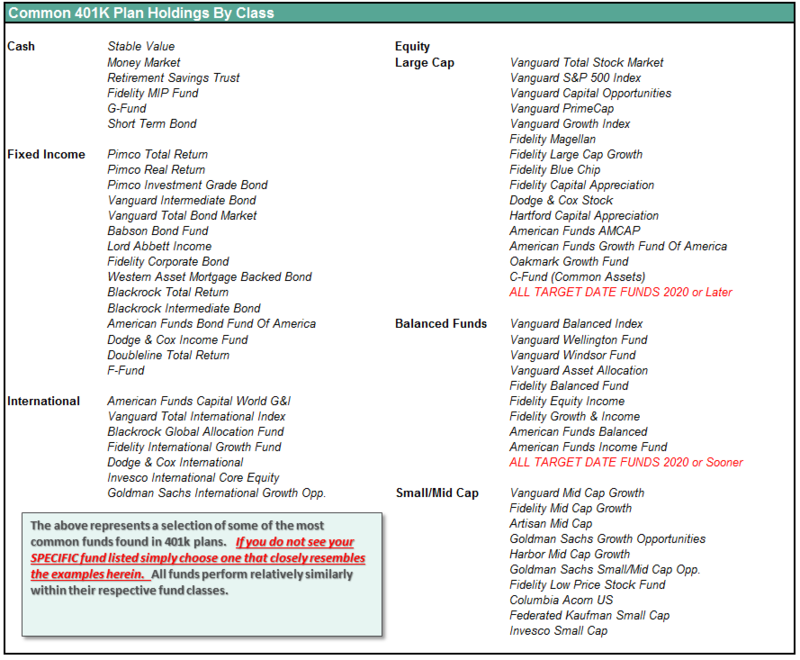 Fixed Annuities (Indexed) – safety and return, no liquidity. ETF’s – liquidity and return, no safety. Mutual Funds – liquidity and return, no safety. Real Estate – safety and return, no liquidity. Traded REIT’s – liquidity and return, no safety. Commodities – liquidity and return, no safety. Gold – liquidity and return, no safety. You get the idea. No matter what you chose to invest in – you can only have 2 of the 3 components. This is an important, and often overlooked, consideration when determining portfolio construction and allocation. The important thing to understand, and what the mainstream media doesn’t tell you, is that “Liquidity” gives you options. I learned a long time ago that while a “rising tide lifts all boats,” eventually the “tide recedes.” I made one simple adjustment to my portfolio management over the years which has served me well. When risks begin to outweigh the potential for reward, I raise cash. The great thing about holding extra cash is that if I’m wrong, I simply make the proper adjustments to increase the risk in my portfolios. However, if I am right, I protect investment capital from destruction and spend far less time “getting back to even” and spend more time working towards my long-term investment goals. Here are my reasons having cash is important. 1) We are not investors, we are speculators. We are buying pieces of paper at one price with an endeavor to eventually sell them at a higher price. This is speculation at its purest form. Therefore, when probabilities outweigh the possibilities, I raise cash. 2) 80% of stocks move in the direction of the market. In other words, if the market is moving in a downtrend, it doesn’t matter how good the company is as most likely it will decline with the overall market. 3) The best traders understand the value of cash. From Jesse Livermore to Gerald Loeb they all believed one thing – “Buy low and Sell High.” If you “Sell High” then you have raised cash. According to Harvard Business Review, since 1886, the US economy has been in a recession or depression 61% of the time. I realize that the stock market does not equal the economy, but they are highly correlated. 4) Roughly 90% of what we’re taught about the stock market is flat out wrong: dollar-cost averaging, buy and hold, buy cheap stocks, always be in the market. The last point has certainly been proven wrong as we have seen two declines of over -50%…just in the last 18-years. Keep in mind, it takes a +100% gain to recover a -50% decline. 5) 80% of individual traders lose money over ANY 10-year period. Why? Investor psychology, emotional biases, lack of capital, etc. Repeated studies by Dalbar prove this over and over again. 6) Raising cash is often a better hedge than shorting. While shorting the market, or a position, to hedge risk in a portfolio is reasonable, it also simply transfers the “risk of being wrong” from one side of the ledge to the other. Cash protects capital. Period. When a new trend, either bullish or bearish, is evident then appropriate investments can be made. In a “bull trend” you should only be neutral or long and in a “bear trend” only neutral or short. When the trend is not evident – cash is the best solution. 8) Cash protects against forced liquidations. One of the biggest problems for Americans currently, according to repeated surveys, is a lack of cash to meet emergencies. Having a cash cushion allows for working with life’s nasty little curves it throws at us from time to time without being forced to liquidate investments at the most inopportune times. Layoffs, employment changes, etc. which are economically driven tend to occur with downturns which coincide with market losses. Having cash allows you to weather the storms. Importantly, I am not talking about being 100% in cash. I am suggesting that holding higher levels of cash during periods of uncertainty provides both stability and opportunity. 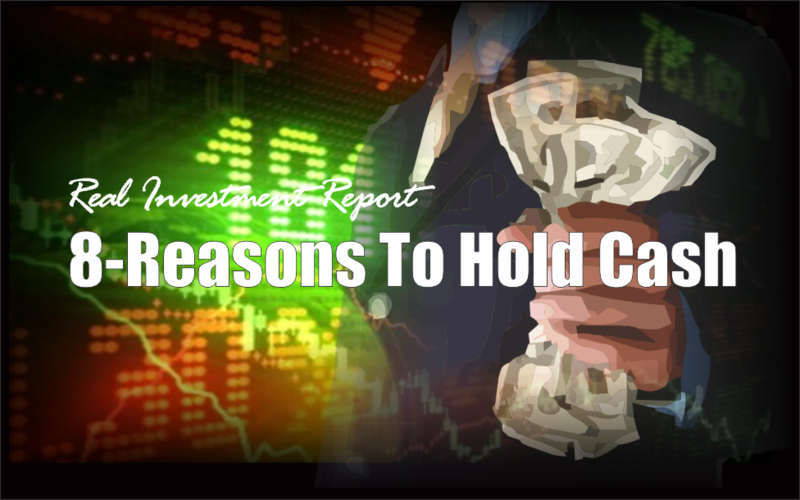 With the fundamental and economic backdrop becoming much more hostile toward investors in the intermediate term, understanding the value of cash as a “hedge” against loss becomes much more important. Given the length of the current market advance, deteriorating internals, high valuations, and weak economic backdrop; reviewing cash as an asset class in your allocation may make some sense. Chasing yield at any cost has typically not ended well for most. Of course, since Wall Street does not make fees on investors holding cash, maybe there is another reason they are so adamant that you remain invested all the time. Financial history is strewn with examples of failed investments that were thought to be “no lose” propositions offering riches to those who invest in them. Sometimes these were small one-off cases that did not affect many investors. For example, Pets.com was a star of the late 1990’s tech boom. A Super Bowl commercial, float in the Macy’s Thanksgiving Parade, and a lovable sock-puppet mascot brought the company fame and importantly led to a very successful IPO. Despite the effective marketing campaign and its newfound pie-in-the-sky investors, the company went bankrupt in 2000, and its stock went to zero. Sometimes these “no-lose” situations are much bigger than Pets.com, rope in many more investors and can affect the entire population. The housing bubble in the early to mid-2000’s, for example, was built on the premise that housing prices only rise. In fact, then Chairman of the Federal Reserve, Ben Bernanke in reply to a question inferring that home prices were in a bubble, stated the following: “Well, I guess I don’t buy your premise. It’s a pretty unlikely possibility. We’ve never had a decline in house prices on a nationwide basis.” Needless to say, the decline in home prices was sharp and nearly bankrupted the financial industry. Most recently the best and the brightest on Wall Street were pushing strategies that shorted equity volatility (VIX). The promise of steady returns and extremely limited risks was too enticing for many investors to pass up. As shown below, the easy money of the last two years caught up with financial gravity and those in this “no-lose” bet lost it all. These lessons are not historical stories of interest but provide great reminders. The stock market is grossly overvalued. Despite this fact, most investment professionals and media pundits disregard the real risk that valuations and prices regress back to their historical mean. Like a high school popularity contest, investors flock to those managers cheerleading the loudest. Meanwhile, those with a grasp of reality and armed with the wisdom of history, warn the masses only to be shunned by the investment world. Prudent investors were also ignored for denying the tech and housing bubbles and for claiming risk would kill short VIX strategies. The take: ignore the narrative of the day and simply remember that markets are typically irrational but often become rational quicker than you can sell. Let’s see what happens next week. On a very short-term basis, the market registered a trading “buy” signal. However, with the market still on longer-term “sell” signals, below important resistance and still contained in a downtrend, this rally should be used to raise cash rather than take on additional risk. 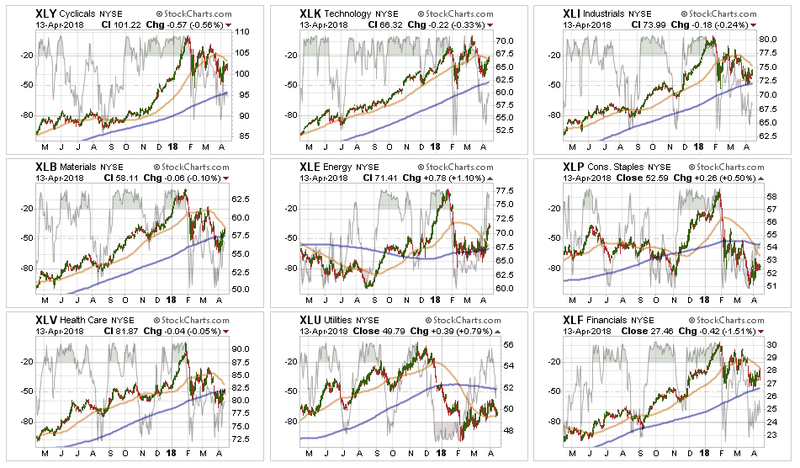 Discretionary, Technology, Industrials, and Financials rallied back toward their respective 50-dma’s last week. These sectors have continued to be the strongest sectors in the market so use the rally to rebalance sectors to portfolio weights but remain long for now. With earnings season starting, these sectors are the best positioned to benefit from positive surprises. Health Care, Materials recovered after breaking their respective 200-dma’s. However, these sectors have lagged on a relative performance basis so remaining underweight these sectors currently remains prudent until performance improves. Energy – after consolidating for over a month, energy stocks spurted higher last week as oil prices ramped up on prospects of an engagement with Syria. With oil now extremely overbought, and at levels which have repeatedly denoted peaks in prices, take profits in this sector and rebalance back to portfolio weight. Staples – our stop level was triggered on Staples and we will be eliminating exposure to the sector on this rally. The sector triggered a moving average crossover which will further pressure prices lower. Utilities have significantly picked up performance in recent weeks and have broken back above the 50-dma. We are not recommending adding to the position yet as the moving-average crossover remains negative. However, given the now overbought condition of the sector, and giving some room for earnings season, we raised cash by reducing holdings. Small Cap, Mid Cap, and International indices all pushed back above their 50-dma last week. While the performance improved last week, be careful getting overly aggressive at this juncture. The setup for industrialized international stocks looks the best at the moment, but let’s wait and see how the market fairs next week before increasing weightings there. Emerging Markets are still struggling. We previously removed our holdings in this sector and remain flat currently. We will continue to monitor performance for improvement. Dividends and Equal weight continue to hold their 200-dma and performed better than the S&P index in recent weeks. We continue to hold our allocations to these “core holdings,” but are closely monitoring performance. Gold continues its volatile back-and-forth trade but remains confined to a downtrend currently. As of this past week, Gold failed another test of recent highs. We currently do not have exposure to gold, but if you are already long the metal, we previously recommended that while the backdrop overall remains bullish, the correctional phase continues so taking profits on rallies remains prudent. Bonds and REITs over the last three of weeks, these two sectors looked to have bottomed and initiated early “buy” signals. We are raising cash by reducing REIT’s to give some clearance to portfolios for earnings season, but will be quick to add back the exposure if performance improves. We continue to hold our bond positions for now as interest rates have started to recognize the economic weakness that has shown up in the data as of late. As we stated two weeks ago, the expectation for a rally has occurred and we are nearing our initial targets for additional risk reduction. 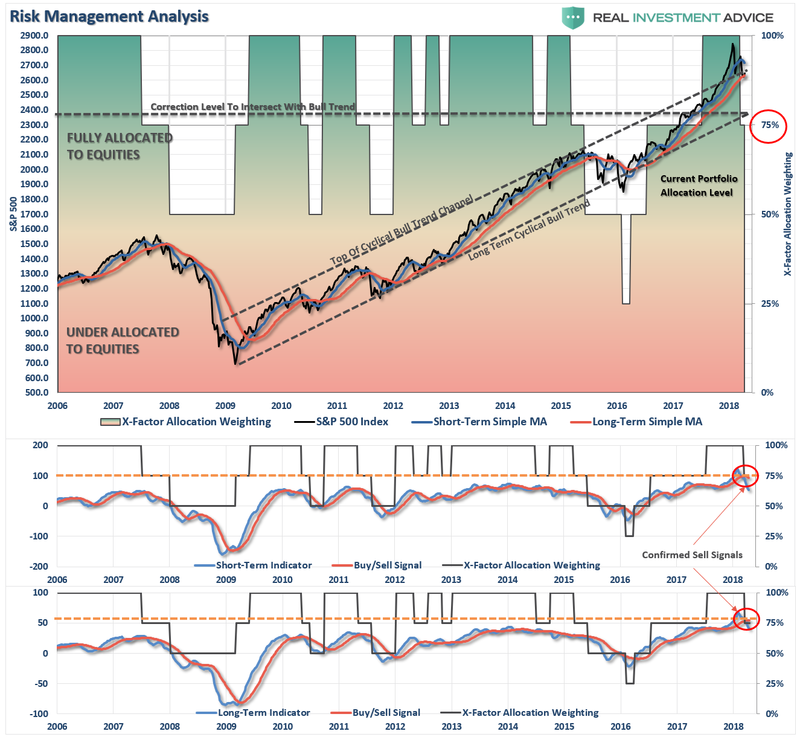 While we continue to honor the current “bullish trend,” we remain very aware of the rising risks and continue to look for opportunities to derisk and re-hedge portfolios as “sell signals” remain firmly intact. The recent rally has been extremely week and lacked real conviction. However, if the market repairs all of the technical damage and re-establishes the previous bullish trend, we will reallocate accordingly and increase equity exposure back to target levels. Our bigger concern, currently, remains the relative risk to capital if the 9-year old bull market. If the current correction expands into a more meaningful reversionary process, we will become much more aggressively risk adverse. As I noted last week, there is plenty of evidence to support the latter case. It is crucially important the market maintains support at current levels and continues to rally next week. 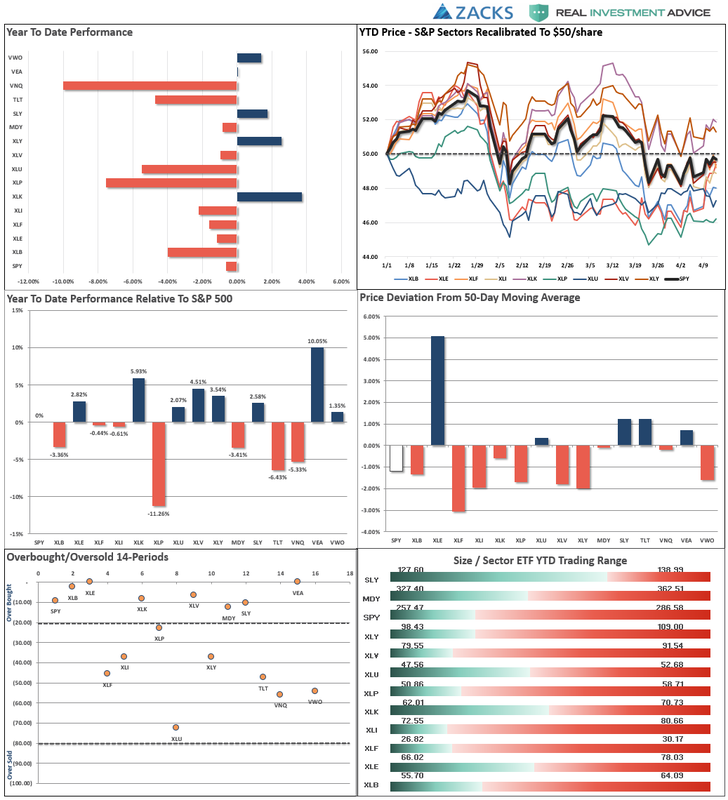 After having reduced exposure to “tariff” related areas a couple of weeks ago (materials, emerging and international markets), we will continue to use any rally next week to continue to rebalance equity risk accordingly. We remain keenly aware of the intermediate “sell signal“ which has now been “confirmed” by the recent market breakdown. We will continue to take actions to hedge risks and protect capital until those signals are reversed. As I wrote last week, we have been looking for a “reflexive rally” to reduce exposure which finally got into the “neighborhood” of our initial target area. If you have not already taken action in your 401-k plan, I would advise moving to target allocations next week and mitigating risk temporarily. With both confirmed “sell signals” in place, the risk to equity exposure currently remains to the downside. If conditions improve we will rebalance equity risk in portfolios back to full allocations but a LOT has to happen first. If you have already reduced equity exposure and increased bond holdings, just sit tight this week and let’s see what happens.